Hah! I thought it was rarebit too. 🙂 I may have to try the beef and Guinness pie (as long as I get to sip along while making it). Try La Salemandra dulce de leche from Argentina, available in this country. Phenomenal caramel. Boiling condensed milk in the can is also another way of getting banoffee pie filing. A favorite of women in prison because they can get condensed milk on buy up and it’s easy. I was going to suggest what Keziah did. You can do this in a crockpot, too. 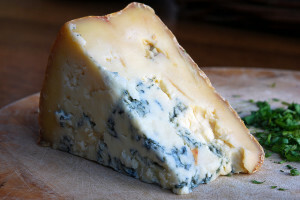 What foreign foods to I love…I love bread and cheese and thankfully you can find them so many places. I love enjoying the local breads and cheeses. They’re always better than the ones at home and it’s always so hard to leave them behind. Our family’s a fan of British food. Lancashire pasty, mince tarts, treacle pudding, shepherd’s pie, etc. 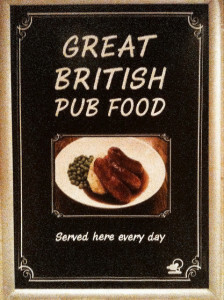 delicious pub food, not to mention a quick fish-n-chips. And a country that serves chicken tikka masala as standard pub fare and sells curry-flavored Pringles at a convenience store in a small village is A-OK in my book. Banoffee Pie sounds delicious. I wonder if our local British store has tins of caramel. Buying it sounds much easier than making that toffee in the recipe you shared. I see disaster written around that part of the recipe, as in burnt pan disaster. Interchangeable, actually. Rabbit is older and a put-down of the Welsh. Rarebit is a usage mistake that found it’s way into a dictionary, hence into common usage. Overall, we had great food on our visit to the UK. We even enjoyed our mushy peas — though it turned out the chef was from Texas and knew how to do them up right! (Garlic salt and butter) I’m a fan of peas, so I wasn’t hard to please, but they were delicious. I think it’s all in the prep, no matter where you go or what the ingredients are! Those of you who do the caramel in the tin are braver than I! Tony, I will look for the Argentinian version, and Auntie L, thanks for clearing that up. Keira, one of my favorite British words is treacle. I read it so often in novels and had no idea what it was for years and years and years. I sounded vaguely fish-like, clear bubbles of something, maybe, but I couldn’t imagine why you’d want a tart of it. I was astonished to find out it was molasses (this only when I made CR some British treat which I can’t now remember). I will leave you to the flavored Pringles (prawn potato chips? no) but will sit with you and feast on that chicken tike masala any day. Great Indian food. Julie, CR loves peas, too. I do make them for him sometimes, but I’ve never loved them all that much. I’ll grow some this summer, no doubt. love you to post your recipe im reading now on mydish.co.uk and you can put in a link returning to your site. Assuming you desire to learn if Nuratrim is a scam, you have arrived at the best place for your answer. I recommand choosing the player’s hairstyle and stuff from the beginning. I’d really like to see Tomoko’s ending to the prom. Spending all that time with her and not being able to get anything from it really sucked.